For those of you have not seen the story. Our nation's Parachute Regiment had a bit of fun by taking target practice on a Jeremy Corbyn image in Afghanistan and the main stream media jump all over it, literally vilifying men that have sacrificed their lives for our country for what amounts to a bit of banter and camaraderie building. Firstly - It sickens me that instead of recognising why working class men that lay their life on the line for this country see Corbyn in the manner they do (he supported the IRA terrorists who killed many a serviceman) the media get right to vilifying our troops. Why not ask why our troops detest Corbyn? I can tell you why. It is because Corbyn hates EVERYTHING our nations military stands for. We need only look at Corbyn's history of treachery as well as his systematic abuse and hatred of our nation's military. Corbyn has been actively investigated for what in most sane people's minds amounts to treason! 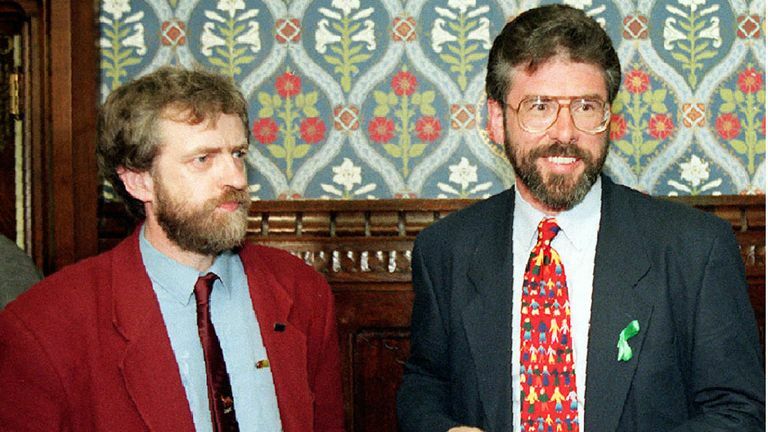 In fact the MI5 opened a file on Jeremy Corbyn amid concerns over his links to the IRA, The Telegraph has discovered during a 2017 investigative piece. He also infamously stood silent for national anthem at Battle of Britain service. Is there any wonder why our troops view him with contempt? Secondly, what happens in the military should stay in the military. Troops regularly engage in behaviour that civilians might find unusual in order to boost morale. To someone that has never even shot a gun before, perhaps merely taking target practice is a peculiar activity, whereas for soldiers, being a good shot is the difference between life and death. When one takes practice on a daily basis, in order to negate the tedium of an activity that is performed in order to preserve our troops lives, it is normal for the shooter to take practice at the jersey or shirt of an opposing football club or someone he finds distasteful. It doesn't mean the soldier wants to actually harm Corbyn. In the military we refer to any sort of camaraderie building behaviour as banter. It keeps morale high. Why would you want to discourage or put any restrictions on an activity that's needed in order to motivate the troops to learn the skills they need to survive. Who are these people to even pass judgement? But what makes me angriest of all is how quickly the Left have used this incident to attack our troops. I've read there's merchandise being sold at a Momentum-organised events at the Labour Party conference in Liverpool that appears to make light of the injuries suffered by disabled veterans. Who has the moral high ground now?